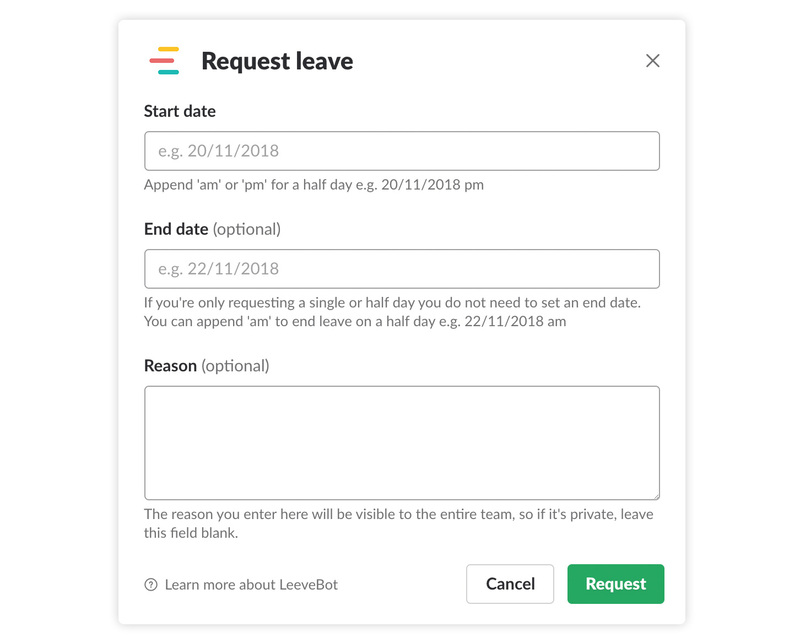 Requesting leave is very simple with LeeveBot, it all starts with one command. 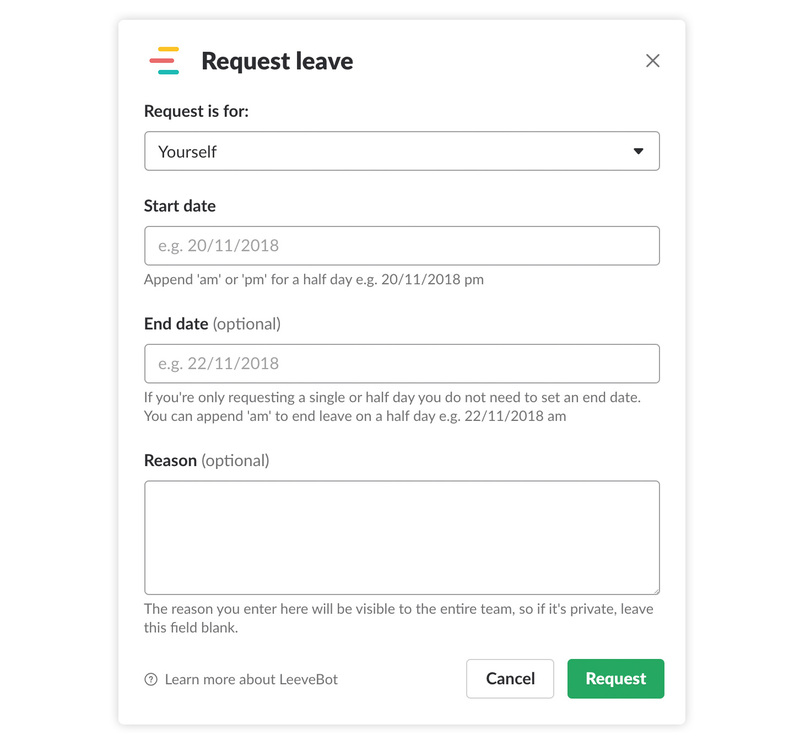 You will be presented with a dialog form to specify a start date, end date and an optional reason for the leave request. On submission the request is sent for approval to one of your teams approvers. And your dialog form will have a menu to select the team member. Requests made as an approver on someone else&apos;s behalf are pre-approved as the approver making the request. A notification is sent the team member informing them the request has been made.